Ruben's Air Force background and recent return from a 21 month military tour has built Ruben's character on the fundamentals of "Integrity, Service before Self & Excellence in all he does!" Since his return, Ruben has hit the ground running making him one of the fastest growing Real Estate Executives in the Pacific Sotheby's family and loved by neighborhood agents and clientele. Ruben's Real Estate experience spans nearly 15 years. He began his career in Real Estate financing and has since moved on to be an exclusive agent with Sotheby's. His love of homes and ability to deeply connect with his client's needs, quickly made him realize that showing property was where he needed to be. Ruben's finance background has proven to be an invaluable asset for his clients when deciphering and accepting qualified offers from home buyers. Ruben understands market trends and expects nothing but the best negotiations for his clients. Ruben's clientele spans from first time home buyers to seasoned investors. In recent years, Ruben has successfully launched a program designed to educate and empower clientele possibly facing foreclosure. His genuine honesty and straight-shooter personality, along with his background in counseling for the Air Force allows him to understand his client's needs and circumstances better than any other agent. 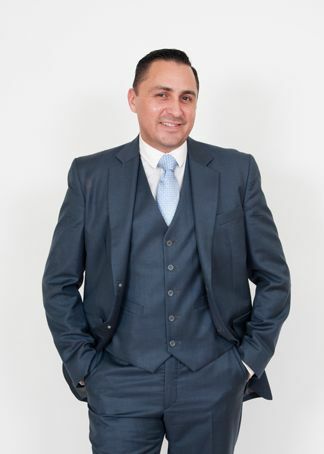 Ruben prides himself on being a "REAL" Real Estate Executive and is ready to support you! Ruben is committed and quick to sell my house. He dedicates his time and energy into ensuring my house was sold at a high price. I highly recommend Ruben as he was an effective realtor.